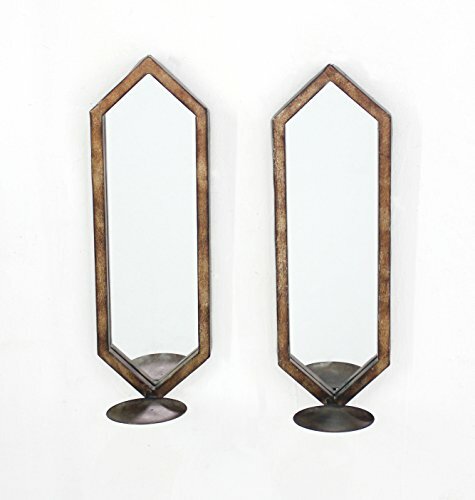 Showcase your decorative candles on our Teton Home WD-008 Minimalist Mirrored Wall Candle Holder Sconce Set. The simple design of this minimalist set will bring special sophistication into your living space. The vertical mirrors diffuse light to a wider area, illuminating any room in a warm and calming glow. If you have any questions about this product by HomeRoots, contact us by completing and submitting the form below. If you are looking for a specif part number, please include it with your message.